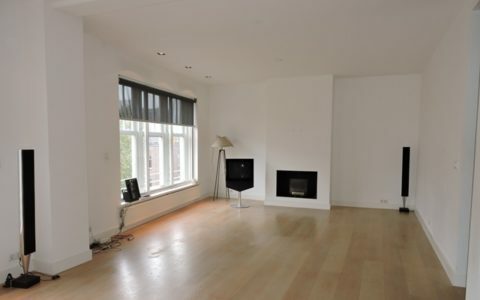 Amsterdam - De Lairessestraat 142G - De Graaf & Groot Makelaars en Taxateurs o.g. 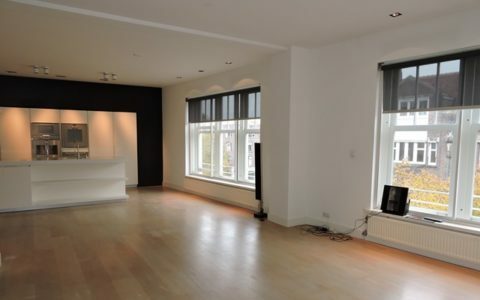 In Amsterdam Oud-Zuid located luxurious 4 bedroom apartment (unfurnished) with double glazing, airconditioning, 2 bathrooms, open kitchen with cooking island, gas fireplace, elevator and rooftop terrace. 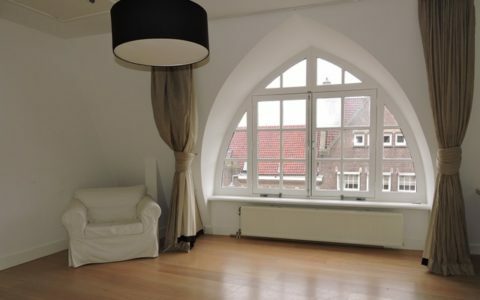 The building has been completely renovated late 90’s, centrally located near public transportation and the famous Vondelpark. 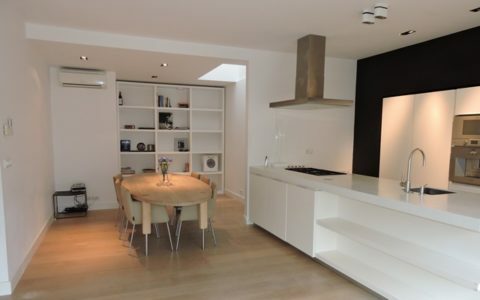 This spacious apartment (approx 173 sqm) is located on the third and fourth floor of this small complex. Through a stately staircase with elevator and original details, you’ll reach the entrance on the third floor. You enter the spacious hallway with storage room, separate toilet and cloakroom. The living room is located at the front and is equipped with a gas fireplace. The luxurious kitchen with cooking island is equipped with all built in appliances; large refrigerator, two freezers, microwave, oven, dishwasher, coffee machine, 5 burner gas hob and plate warmer. The open dining area is located next to the kitchen and has airconditioning. Through the stairs you reach the fourth floor. On the spacious landing is a large fitted wardrobe and a separate storage room. From the landing you have access to all the rooms. Three large bedrooms with airconditioning, one of these rooms also has fitted wardrobes. The fourth smaller bedroom (it fits a double bed) is equipped with airconditioning and a skylight. Luxurious bathroom with bath, separate rainshower, toilet and sink. Second bathroom with shower, sink and toilet. 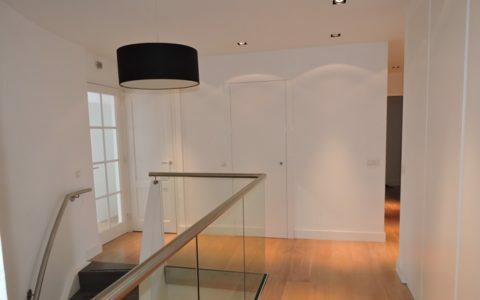 Through the stairs from the landing you reach the roof which gives access to the huge terrace of approx 56 m². The apartment has a communal bicycle storage in the basement. 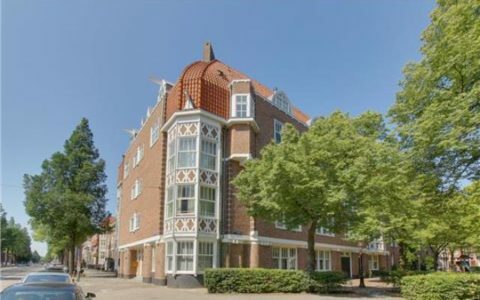 The property is located in Amsterdam Oud-Zuid, near Valeriusplein, which is an ideal place for children to play, with the exclusive shops of Cornelis Schuytstraat, Van Baerlestraat and P.C. Hooftstraat within walking distance. Also within walking distance is the Vondelpark . All facilities such as schools and public transport are in the vicinity. Numerous terraces and restaurants are nearby.